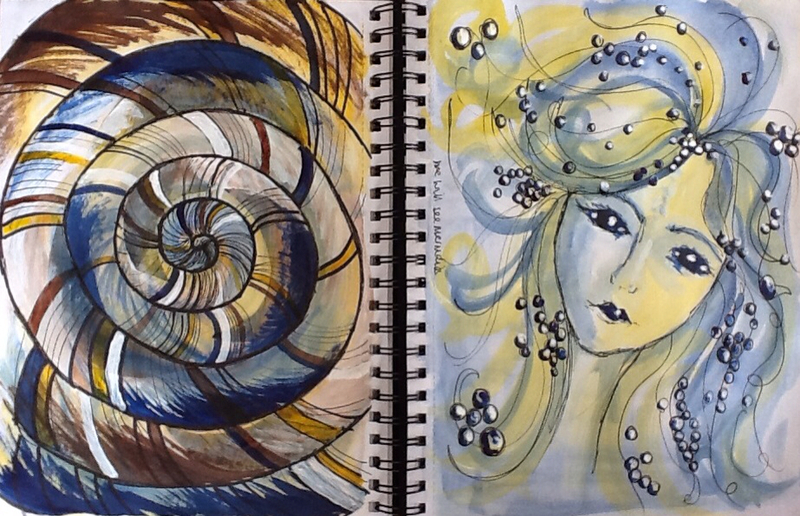 Been playing in one of my sketchbooks today and having lots of fun with glue sticks, paints and pens. It's been great to have a whole studio day to get stuck in and although I am really wanting to work some of my sketches up in fabric and stitch I am trying to be patient and carry on with the sketchbook work first - not easy!! Have also been giving lots of thought about running small workshops here in the studio. A friend very kindly trialled out a machine embroidery workshop for me the other week and since then I have been asked about a couple of other workshops. If anyone has any advice about running sessions I'd love to hear from you. I have run art workshops in primary schools but am sure that adult workshops are a bit different!